Men with prostate cancer who ate a low-fat diet and took fish oil supplements had lower levels of pro-inflammatory substances in their blood and a lower cell cycle progression score, a measure used to predict cancer recurrence, than men who ate a typical Western diet, UCLA researchers found. "We found that CCP scores were significantly lower in the prostate cancer in men who consumed the low-fat fish oil diet as compare to men who followed a higher fat Western diet," Aronson said. "We also found that men on the low-fat fish oil diet had reduced blood levels of pro-inflammatory substances that have been associated with cancer." This study appears in the early online edition of Cancer Prevention Research, a peer-reviewed journal of the American Association for Cancer Research. This study is a follow-up to a 2011 study by Aronson and his team that found a low-fat diet with fish oil supplements eaten for four to six weeks prior to prostate removal slowed the growth of cancer cells in human prostate cancer tissue compared to a traditional, high-fat Western diet. That short-term study also found that the men on the low-fat fish oil diet were able to change the composition of their cell membranes in both the healthy cells and the cancer cells in the prostate. They had increased levels of omega-3 fatty acids from fish oil and decreased levels of the more pro-inflammatory omega-6 fatty acids from corn oil in the cell membranes, which may directly affect the biology of the cells, Aronson said. "These studies are showing that, in men with prostate cancer, you really are what you eat," Aronson said. "The studies suggest that by altering the diet, we may favorably affect the biology of prostate cancer." Skin provides a first line of defense against viruses, bacteria and parasites that might otherwise make people ill. When an injury breaks that barrier, a systematic chain of molecular signaling launches to close the wound and re-establish the skin's layer of protection. A study led by researchers from the University of Pennsylvania's School of Dental Medicine and published in the Journal of Cell Biology now offers a clearer explanation of the role of one of the players in the wound-healing process, a molecule called FOX01. Contrary to what had been expected, FOX01 is critical to wound healing, providing researchers with a possible new target for drugs that could help speed that process for people with impaired wound healing. Senior author Dana Graves is a professor in Penn Dental Medicine's Department of Periodontics and is vice dean for scholarship and research. He collaborated on the study with Penn's Bhaskar Ponugoti, Fanxing Xu, Chenying Zhang, Chen Tian and Sandra Pacio. A critical element of wound healing involves the movement of keratinocytes, the primary cells comprising the epidermis, or the outer layer of skin. Previous research had found that FOX01 was expressed at higher levels in wounds, but scientists did not understand what role the molecule was playing. In other scenarios, such as in cancer cells, FOX01 promotes cell death and interferes with the cell reproduction, two actions that would seem to be detrimental to healing. To investigate the role of FOX01 in wound healing, Graves and colleagues bred mice that lacked the protein in their keratinocytes and then observed the wound healing process in these mice compared to mice with normal FOX01. "We thought that deleting FOX01 would speed up the wound-healing process," Graves said, "but in fact it had the opposite effect." The mice that lacked FOX01 showed significant delays in healing. Whereas all wounds on control mice were healed after one week, all of the experimental mice still had open wounds. Digging deeper into this counterintuitive finding, the researchers examined the effect of reducing FOX01 levels on other genes known to play a role in cell migration. They found that many of these genes were significantly reduced, notably TGF-β1, a critical growth factor in wound repair. When the team added TGF-β1 to cells lacking FOX01, the cells behaved normally and produced the proper suite of molecules needed for healing, indicating that FOX01 acts upstream of TGF-β1 in the signaling pathway triggered during the healing process. Further experimenting revealed that mice lacking FOX01 had evidence of increased oxidative stress, which is detrimental to wound healing. "The wound healing environment is a stressful environment for the cell," Graves said. "It appears that upregulation of FOX01 helps protect the cell against oxidative stress." "About 50 percent of melanomas are driven by mutations in the BRAF gene, and about 60-80 percent of these melanomas initially respond to BRAF inhibitors such as vemurafenib and dabrafenib, but most develop resistance within seven to eight months," said Dr. Lo. "Our goal is to study comprehensively how this cancer escapes from BRAF inhibitors, so we can design new treatment approaches to overcome this resistance. "It is very exciting to see work funded under a Stand Up To Cancer Innovative Research Grant (IRG) yield these important results," stated Sherry Lansing, co-founder & member of the SU2C Council of Founders and Advisors. "We created the IRG program to enable some of the best and brightest young researchers across disciplines to think out of the box and attempt to make major breakthroughs in their field with bold research projects." The SU2C IRG program is one of two initial funding models created by SU2C to focus on groundbreaking translational research aimed at getting new therapies to patients quickly. IRG grants support work that incorporates new ideas and new approaches to solve critical problems in cancer research. Dr. Lo's grant was one of the initial 13 IRG grants awarded in December 2009. Thirteen additional IRG grants were awarded in April 2011. To date, SU2C has funded $19.42 million for IRG research. "There are several types of resistance, and one of these studies focused on early resistance, because most melanomas respond to BRAF inhibitors partially, leaving behind tumors subject to further evolutionary selection and development of late resistance," said Lo. "We found that suppressing the BRAF-regulated MAPK signaling quickly led to an increase in PI3K-AKT pathway signaling [causing early resistance] in many but not all melanomas. In those that do not display this early adaptive response, certain tumor subclones with the 'right' genetic variants in the PI3K-PTEN-AKT pathway would then have selective growth advantage during BRAF inhibitor therapy and eventually contribute to acquired [late] resistance," he explained. Lo and colleagues studied melanoma tumors from patients collected before and early during treatment with BRAF inhibitors, and found that there was an increase in the amount of the activated form of a protein called AKT, early on after the start of treatment. They further confirmed these findings using melanoma cells cultured in the laboratory. This increase in activated AKT was associated with various inhibitors that block MAPK signaling at different points along the pathway, such as BRAF and MEK inhibitors. Today, two studies by researchers from UCLA's Jonsson Comprehensive Cancer Center were published online in the journal Cancer Discovery that provide critical insights into two important ways that tumors resist BRAF inhibitors. The researchers found the key cell-signaling pathways used by BRAF-mutant melanoma to learn how to become resistant to inhibitor drugs, and how the limited focus of BRAF inhibitors allows melanoma cells to evolve and become drug-resistant. The studies will appear later in the journal's print edition. Led by Dr. Roger Lo, a member of the Jonsson Cancer Center and associate professor and director of the melanoma clinic in dermatology, the studies utilized patients' biopsy samples to give researchers powerful information that can be translated directly into the clinic. Specifically, the findings should help oncologists make better use of BRAF inhibitor drugs in combination with other drugs for melanoma patients. In the first study, Lo and colleagues discovered how tumor cells escaped the effects of BRAF inhibitors by tracking the outgrowth of melanoma cells that had learned from different cell-signaling pathways how to become BRAF inhibitor-resistant. This work, based on an analysis of 100 biopsies from patients who had been treated with BRAF inhibitors, revealed that BRAF inhibitor-resistant tumors use a variety of different signaling routes to learn resistance and that people can have more than one resistance route. Clinical trials have rarely studied these phenomena at the molecular level, which Lo said provides a much more robust view of the scale and scope of the problem. The non-dopaminergic drug pimavanserin reduces psychotic symptoms in patients with Parkinson’s disease (PD) without worsening motor function, shows a randomized trial. Along with observed improvements in sleep, this suggests that tackling psychosis had “a broader effect on wellbeing of patients,” write Ballard and colleagues in The Lancet. A total of 199 patients participated in the study, 185 of whom were included in the final analysis; all had a combined score of at least 6 on the neuropsychiatric inventory items delusions and hallucinations, or an individual score of at least 4. The researchers tried to provoke a placebo effect ahead of the start of drug treatment by first providing all patients with 2 weeks of psychosocial therapy. Nevertheless, patients assigned to the placebo group still had a 14% reduction in psychotic symptoms on the PD-adapted Scale for Assessment of Positive Symptoms (SAPS) over the 6-week study period. However, patients taking pimavanserin – a selective serotonin 5-HT2A inverse agonist – had a significantly larger 37% improvement. The recent rise in antibiotic-resistant bacteria is a serious public health threat, and there is a need for new therapeutic strategies to combat these infections. A study published by Cell Press on November 14th in the journal Molecular Cell has revealed a new toxin that inhibits bacterial growth by blocking the DNA replication machinery, which is not targeted by currently available antibiotics. The findings open new therapeutic avenues for developing the next generation of antibiotics. "One source of inspiration for new antibiotic targets is bacteria themselves," says senior study author Michael Laub of the Massachusetts Institute of Technology. "By studying the ways in which toxins produced by bacteria inhibit their growth, we may potentially find clues into targets that hadn't been considered previously." Bacterial growth is regulated in part by sets of genes known as toxin-antitoxin (TA) systems, each of which typically encodes two proteins the toxin and the antitoxin. These proteins normally form a non-toxic complex, but under stressful conditions, the antitoxin degrades and frees up the toxin, which then inhibits bacterial proliferation. Despite the key role TA systems play in regulating bacterial growth, relatively little is known about how they work, and they currently are not targeted by any antibiotics in clinical use. In the new study, Laub and his team identified a novel TA system called SocAB. Unlike all other known TA systems, SocAB targets bacterial DNA replication machinery. The toxin, SocB, blocks DNA replication and inhibits bacterial growth by interacting with a protein called DnaN, a central hub in protein networks involved in multiple cellular processes. 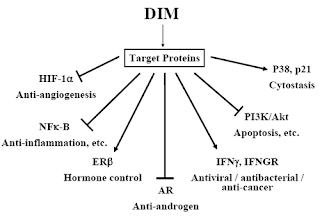 The researchers also pinpointed the region on DnaN that is critical for this interaction. 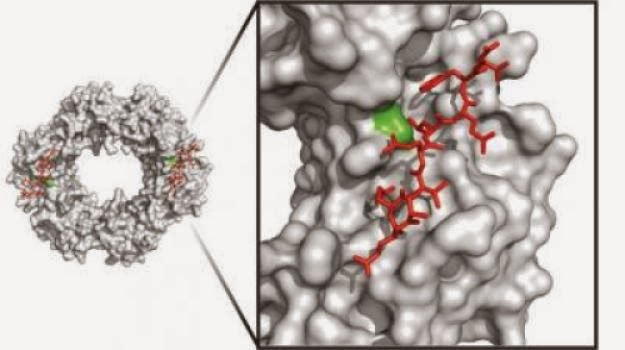 The findings suggest that novel antibiotics that mimic the effects of SocB by targeting this region on DnaN could form the basis of a promising therapeutic strategy in the future. "Our results reveal unexpected diversity in the molecular mechanisms underlying toxin-antitoxin systems, which are found throughout the bacterial kingdom," Laub says. "Because DnaN is highly conserved between bacteria, targeting this part of the DNA replication machinery may be a generalizable strategy to inhibit bacterial growth." Extract taken from an Asian vegetable may have therapeutic qualities to treat head and neck cancer, a Saint Louis University researcher has found. Preliminary findings of the research were published in the Public Library of Science One Journal by Ratna Ray, Ph.D. associate professor of pathology at Saint Louis University. 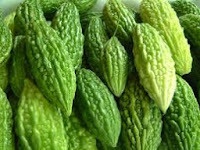 Ray found that bitter melon extract, a vegetable commonly used in Indian and Chinese diets, reduces the head and neck cancer cell growth in the animal model. "We wanted to see the effect of the bitter melon extract treatment on different types of cancer using different model systems," said Ray, who first tested the extract in breast and prostate cancer cells. "In this study, the bitter melon extract treatment suppressed the head and neck cancer cell growth in the mouse model, reducing the growth of the tumor." In a controlled lab setting, Ray found that bitter melon extract regulated several pathways that helped reduce the head and neck cancer cell growth in the animal model. After a period of four weeks, Ray found that the growth and volume of the tumor had reduced. Bitter melon is a tropical vegetable that is commonly used in Indian and Chinese cooking. Ray, who is originally from India, often uses bitter melon in her meals. People in Asia use this vegetable in stir fries, salads, and also drink its juice as part of a healthy diet. Although more research is needed, Ray believes the bitter melon extract may enhance the current treatment option. "It's difficult to measure the exact impact of bitter melon extract treatment on the cell growth, but a combination of things -- existing drug therapy along with bitter melon may help the efficacy of the overall cancer treatment," Ray said. Head and neck cancers, which account for 6 percent of all cancer cases, start in the mouth, nose, sinuses, voicebox and throat. They frequently are aggressive, and often spread from one part of the head or neck to another. Before moving to phase I clinical trial with head and neck cancer patients, Ray said she and her team would need to validate their results with other preclinical models. Ray's initial research found that treatment with this natural substance halted the breast and prostate cancer cell growth, eventually stopping them from spreading. University of Sydney researchers have discovered a new and promising treatment for osteoporosis which is easily delivered in water soluble form. After more than four years of investigation, researchers from the Ageing Bone Research Program (Sydney Medical School’s Nepean campus), have found the treatment has shown very promising results in animal experiments. Lead researcher Professor Gustavo Duque said the odorless compound can be easily dissolved in water. “Instead of stopping bone destruction, our compound instead stimulates bone formation." “The product is easily dissolved in water, has a higher level of absorption and did not induce any side effects in the treated mice." Professor Duque said the team had patented the compound and will expand their trials to humans in the near future in a bid to address the increasing numbers of people developing the condition. “Osteoporosis affects an estimated 300 million people worldwide. One in three women over 50 will experience osteoporotic fractures, as will one in five men." A drug approved for the treatment of rheumatoid arthritis may also turn out to be the first targeted therapy for one of the most common forms of kidney disease, a condition that almost inevitably leads to kidney failure. A team led by Massachusetts General Hospital (MGH) researchers is reporting that treatment with abatacept (Orencia) appeared to halt the course of focal segmental glomerulosclerosis (FSGS) in five patients, preventing four from losing transplanted kidneys and achieving disease remission in the fifth. The report is being issued online in the New England Journal of Medicine to coincide with a presentation at the American Society for Nephrology annual meeting. New research from a team of researchers in Taiwan indicates that a peptide fragment derived from cow's milk, known as lactoferricin B25 (LFcinB25), exhibited potent anticancer capability against human stomach cancer cell cultures. The findings, published in the Journal of Dairy Science®, provide support for future use of LFcinB25 as a potential therapeutic agent for gastric cancer. "Gastric cancer is one of the most common causes of cancer-related mortality worldwide, especially in Asian countries," says Wei-Jung Chen, PhD, of the Department of Biotechnology and Animal Science of National Ilan University, Taiwan Republic of China. "In general, the main curative therapies for gastric cancer are surgery and chemotherapy, which are generally only successful if the cancer is diagnosed at an early stage. Novel treatment strategies to improve prognosis are urgently needed." Investigators evaluated the effects of three peptide fragments derived from lactoferricin B, a peptide in milk that has antimicrobial properties. Only one of the fragments, LFcinB25 reduced the survival of human AGS (Gastric Adenocarcinoma) cells in a dose-dependent and time-dependent manner. Under a microscope the investigators could see that after an hour of exposure to the gastric cancer cells, LFcinB25 migrated to the cell membrane of the AGS cells, and within 24 hours the cancer cells had shrunken in size and lost their ability to adhere to surfaces. In the early stages of exposure, LFcinB25 reduced cell viability through both apoptosis (programmed cell death) and autophagy (degradation and recycling of obsolete or damaged cell parts). 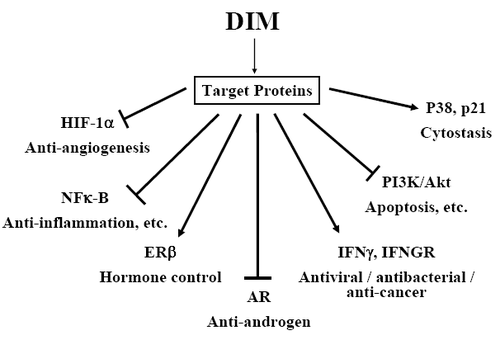 At later stages, apoptosis appeared to dominate, possibly through caspase-dependent mechanisms, and autophagy waned. "This is the first report describing interplay between apoptosis and autophagy in LFcinB-induced cell death of cancer cells," says Dr. Chen. "Our study investigated how resveratrol and radiotherapy inhibit the survival of melanoma cells," said Michael Nicholl, MD, assistant professor of surgery at the MU School of Medicine and surgical oncologist at Ellis Fischel Cancer Center in Columbia, Mo. "This work expands upon our previous success with resveratrol and radiation in prostate cancer. Because of difficulties involved in delivery of adequate amounts of resveratrol to melanoma tumors, the compound is probably not an effective treatment for advanced melanoma at this time." Two targeted anticancer drugs used together after first-line chemotherapy for advanced stage non-small-cell lung cancer (NSCLC) improve progression-free survival (PFS), the results of a large, prospective study show. Median PFS was 4.8 months for patients treated with bevacizumab plus erlotinib versus 3.7 months for those treated with bevacizumab plus placebo (hazard ratio [HR] = 0.71). There was no overall survival (OS) advantage, however, and the two-drug combination was associated with more adverse events than bevacizumab alone, say the study investigators. Finger millet contains important amino acids viz., isoleucine, leucine, methionine and phenyl alanine which are not present in other starchy meals. It has the highest amount of calcium (344 mg %) and potassium (408 mg %). Ragi is a great source of iron making it beneficial for individuals with low hemoglobin levels. Millets also contains B vitamins, especially niacin, B6 and folic acid. Some of the health benefits of ragi are attributed to its polyphenol and dietary fiber contents. Due to its high content of polyphenols and dietary fiber ragi exhibits anti-diabetic and antioxidant and antimicrobial properties; it protects against tumors and atherosclerosis (narrowing and hardening of blood vessels). Being low in fat and gluten free, ragi is easy to digest. It is therefore, given as first foods to babies in the form of ragi porridge. Malted ragi grains are ground and consumed, mixed with milk, boiled water or yogurt. In southern parts of India, it is a recommended food, by doctors, for infants of six months and above because of its high nutritional content. Homemade ragi malt is one of the most popular infant foods till date. Malting characteristics of finger millet are superior to other millets. On malting the vitamin-C is elaborated, phosphorus availability is increased, digestion is easier and amino acids are synthesized. In south India, the malted ragi flour is extensively used in preparation of weaning foods, instant mixes and beverages. Despite finger millet's rich nutrient profile, low cost and easy availability recent studies indicate its lower consumption in general by urban Indians. Obesity has become a matter of health concern in India. Unhealthy foods have increasingly become a part of the food choices made by youth. Large populations of children in the country are malnourished and are deficient in calcium and protein. 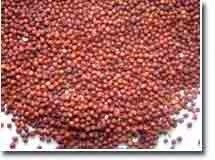 The millet ragi then could be the answer to all the above problems relating to nutrient deficiencies. Ragi is truly a wonder cereal grain and should be consciously incorporated in the diets in one way or the other. Now a study published in the Nov. 1 online issue of The Lancet and funded by Acadia Pharmaceuticals, the makers of pimavanserin. "There are no first-line approved treatments for psychosis in people with Parkinson's disease," said lead researcher Dr. Clive Ballard, a professor of age-related diseases at King's College, London. "Existing antipsychotics are either ineffective or not tolerated. Pimavanserin is not yet licensed, but could potentially offer a change in the treatment of these distressing and impactful symptoms," he said. An expert not involved with the study talked about the need for a medication alternative. "The Parkinson's disease community has been waiting for a potentially new approach for the treatment of psychosis and hallucinations," said Dr. Michael Okun, national medical director of the National Parkinson Foundation. Researchers have identified a potential way to manipulate the immune system to improve its ability to fight off tuberculosis (TB). TB is a major problem for both humans and cattle and the new findings could help scientists to create better drugs to combat the disease in both. The disease is caused by the bacterium Mycobacterium tuberculosis, which infects the lungs. The mycobacteria are able to establish persistent TB infections by taking up residence in macrophages - cells of the immune system that would normally destroy invading microorganisms. Now, in early stage research published in the Journal of Biological Chemistry, researchers from Imperial College London and Stanford University have revealed precisely how unusual sugars on the surface of the mycobacteria that cause TB are able to latch onto the macrophages and disarm them. They now hope that scientists at Imperial and elsewhere can use this knowledge to develop small molecule drugs that latch tightly onto the same site. These drugs could potentially fight tuberculosis in a number of ways, say the researchers. They could create a barrier to prevent the mycobacteria from attaching to the macrophages; they could transport drugs to kill the mycobacteria; or they could change how the macrophages behave, so that they destroy the mycobacteria rather than harbouring them. Professor Kurt Drickamer, a lead author of the research from the Department of Life Sciences at Imperial College London, said: "TB is hard to fight effectively because it can hide inside the cells of the immune system that should be able to destroy it. We were surprised to find that there is an extensive interaction between the macrophage and one particular type of molecule on the surface of the mycobacteria. The nature of the interaction gives us hope that we can make simple molecules that block the ability of the mycobacteria to subvert the macrophages. The study, the first to test this treatment in people, combined the drug vorinostat (see structure) with standard medications given after transplant, resulting in 22 percent of patients developing graft-vs.-host disease compared to 42 percent of patients who typically develop this condition with standard medications alone. Results of the study appear in The Lancet Oncology. "Graft-vs.-host disease is the most serious complication from transplant that limits our ability to offer it more broadly. Current prevention strategies have remained mostly unchanged over the past 20 years. This study has us cautiously excited that there may be a potential new way to prevent this condition," says lead study author Sung Choi, M.D., assistant professor of pediatrics at the U-M Medical School. Vorinostat is currently approved by the U.S. Food and Drug Administration to treat certain types of cancer. But U-M researchers, led by senior study author Pavan Reddy, M.D., found in laboratory studies that the drug had anti-inflammatory effects as well -- which they hypothesized could be useful in preventing graft-vs.-host disease, or GVHD, a condition in which the new donor cells begin attacking other cells in the patient's body. The study enrolled 61 older adults from the University of Michigan and Washington University in St. Louis who were undergoing a reduced-intensity bone marrow transplant with cells donated from a relative. Patients received standard medication used after a transplant to prevent GVHD. They also received vorinostat, which is given as a pill taken orally. Fifty of the 61 participants completed the full 21-day course of vorinostat. New research from Japan brings hope of a new treatment for asthma patients resistant to corticosteroids. In a study published today in the journal Nature Communications, researchers from the RIKEN Center for Integrative Medical Sciences and Keio University in Japan report that a type of lymphocytes called natural helper (NH) cells plays a critical role in corticosteroid resistance and demonstrate that the anti-psychotic drug Pimozide can be used to overcome resistance to steroids in severe asthma patients.